I have a broad practice that spans both the Private Client & Trust and Corporate & Commercial teams. I am fortunate enough to have high calibre staff in both teams to support me and my clients. In the Private Client & Trust space my special interest is in advising individuals and families on their ‘life planning.’ I derive enormous satisfaction from seeing clients achieve their goals. I have a keen interest in all investment matters and enjoy my role as a professional trustee of client trusts. A lot of my work extends to trust management, and commercial and property investment. In the property context this includes residential, commercial and rural. I act for a large number of commercial clients, ranging from SME businesses to large national investment companies. For some of my commercial clients I sit on their Advisory Boards and provide strategic advice as well as legal direction. Before joining Cooney Lees Morgan in 2003, I spent two years as a solicitor at Universal Pictures International in London.  The first four years of my career were as a solicitor at Buddle Findlay in Wellington where I was in the commercial team and worked with a wide range of corporate clients as well as clients in the government sector. I completed my schooling in Rotorua and then went to the University of Otago where I graduated with a Bachelor of Laws (Hons). My dissertation was on the enforceability of professional sports contracts which was very interesting but to date has been of very minimal practical benefit! Outside work I enjoy my role as a Trustee (and Deputy Chair) of the Acorn Foundation which supports a number of local community organisations. I also chair the Acorn Investment Advisory Committee which manages the Acorn funds under management (currently $13 million). I’m a trustee of the St John Building project charitable trust which is currently obtaining funding for the re-build of the 17th Ave Ambulance hub. With a special interest in investment and governance matters I’m also a director of two investment companies. When time permits I’m an active participant and follower of most sports, this includes being a keen Kontiki fisherman and a committed Black Caps fan – a perfect day for me would be sitting on the banks of the Bay Oval with family watching New Zealand edge towards a cricket victory over Australia! Life at home is busy with my wife Rita and four young children: We live in Mount Maunganui and love nothing more than spending time at the beach with friends and family. Working with a local family on a significant succession plan whereby assets and control of dairy and kiwifruit operations are being passed on from one generation to the next. Advising Milford Asset Management on a number of private equity transactions including investments into Vend Limited, AFT Pharmaceuticals Limited, Straker Translations Limited and Burger Fuel Worldwide Limited. Advising Matai Pacific Limited on an Overseas Investment Act application to acquire and develop kiwifruit land. This is the fifth application and to date we have been successful of every occasion. Working with Form Building & Developments Limited to restructure their business and introduce new shareholders to their rapidly growing business. “I have dealt with Matt for a number of years. I have always found Matt’s legal work to be of the highest quality. The attributes that most appeal to me though are Matt’s problem-solving skills and his ability to comprehend the wider business and personal issues of his clients, ensuring that he delivers practical and commercial advice.” Mark Robinson, Staples Rodway. “Matt and the team at Cooney Lees Morgan have been advising Stratum for many years now. Over that time we have been very pleased with the very knowledgeable and dependable legal advice provided. More recently, Matt has been a member of our company’s Advisory Board and his strategic input into our company’s direction has been invaluable. He comes highly recommended from the team at Stratum.” Colin Kemeys, Stratum Consultants Limited. “I have worked with Cooney Lees Morgan and in particular Matt Tustin for over 10 years. He is a first-class operator in every respect and has excellent legal knowledge as well as very good commercial acumen. I highly recommend Matt to anyone considering using his services.” Andrew Davis, Forsyth Barr. “Matt is a member of our company’s Advisory Board. In that role he helps us with strategic direction, and provides legal and business advice for the operation of a professional services firm. Matt always impresses with his breadth of knowledge of commercial operations, his good judgement and his ability to take the panic out of stressful situations. He is particularly good at facilitating discussions at a strategic level, where he can sift through wide ranging views, challenge them and help us arrive at sensible decisions. We have come to really depend on him for the quality of his advice and the independent views he brings to our Advisory Board.” Andrew Robinson, Stratum Consultants Limited.